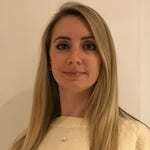 Sarah Fletcher has joined MGA Entertainment as Head of UK Licensing. She joins from her own consultancy. Prior to that she was General Manager at Fluid World and Head of Global Retail & Events at Mind Candy.